There is no denying that our earth is facing numerous changes in the current times. The severity of climate in certain areas has changed, the global temperature is on the rise, new weather patterns have surged up, and natural disasters have become more frequent than ever. People all across the globe are facing different environmental challenges on a daily basis. These problems have the potential to impact the landscape of our earth drastically. Read on to know some of the pressing issues that we must be prepared to tackle in 2018. Air pollution, land pollution, and water pollution have increased at an alarming rate. Various factors have contributed to this rise in different types of pollution. For example, chemicals released by our appliances and other daily use products, vehicle smoke, burning of fuel, improper waste management are some of the major factors impacting pollution in the world. Health and environmental experts are promoting the use of such products that are better for the overall environment. Companies and production units are encouraged to opt for “Green” or eco-friendly methods to produce goods. However, these practices will still take some time to be followed in all the countries across the globe. The result of adverse effects of pollution is there for all to be seen and felt. Several diseases and disorders have become common. Pollution has impacted climate change and ozone layer depletion. Global leaders must urgently combat growing pollution and take a stand to promote healthy and pollution-free living. The increasing use and dependency of fossil fuels in different industries to produce energy have resulted in the depletion of natural resources. Reduction in the level of natural resources is not the only issue related to the consumption of fossil fuels. It poses several other adverse effects that include greenhouse gases emission. The release of these gases is resulting in two of the major issues faced by our planet Earth: global warming and change in climate. To reduce dependency on natural resources for energy production, people are now shifting towards alternate sources and methods. These alternate sources include solar energy, wind energy, geothermal energy, etc. The trend of solar energy, among the alternative sources mentioned-above, is gaining global popularity. This method of producing the energy required high budget from the consumer for its installation; however, in the recent times, its cost have reduced. Higher authorities need to promote the benefits of relying on alternate methods so that more and more people should opt for them instead of using fossil fuels. Forests play an essential role in maintaining the balance in our eco-system. However, just like the loss of biodiversity, growing population rate has also resulted in deforestation. Forests are known to serve as “carbon sinks” due to their ability to absorb carbon dioxide. Deforestation causes CO2 to be absorbed by our atmosphere and ultimately result in global warming. Cutting down trees and deforestation has several other adverse effects as well. It may result in the extinction of several species as their natural habitat gets destroyed. Climate conditions will worsen as the release of greenhouse gas will get increased. 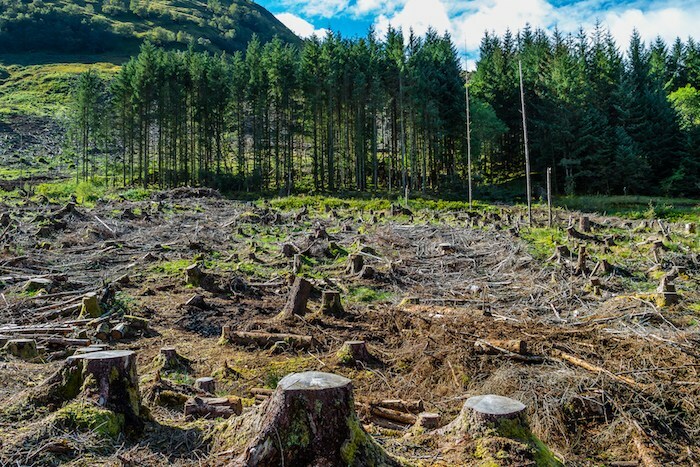 As of now, around 15% of total greenhouse gas emissions are due to deforestation. Chlorofluorocarbons, which are released by numerous daily-use appliances and products, forms one of the major reason of depletion of ozone layer. This depletion has resulted in global warming and change of climate. The largest hole created in the ozone layer by such chemicals is over the Antarctic. Due to the ozone layer depletion, harmful UV rays, which can damage living tissues, enter the earth. Specific measures are being taken on a global level to limit the emission of CFCs. The sixth extinction is a term given to loss of biodiversity. This effect has taken place and is rapidly increasing due to the human behavior on this planet earth. Due to increase in population, humans continue to destroy natural habitats of species regularly, which in turn affects the food chain. The appalling effect of the sixth extinction is that it will impact our planet for many years to come exacerbating and increasing environmental issues. The need of the hour for environmental and health experts is to form effective strategies to find solutions to these pressing issues. The .earth domain name helps bring together people from all over the world to share ideas to make Earth a better home for us and future generations. We look forward to seeing more people and organizations take action and raising their collective voices in the name of Earth in 2018.